Chumley Huffington – Initially a duelist with an extremely pessimistic outlook, Chumley gradually grows to become a respected designer for Industrial Illusions. Throughout the series, Chumley participates in only two Duels: the first with his father, and the second with Vellian Crowler. His father. 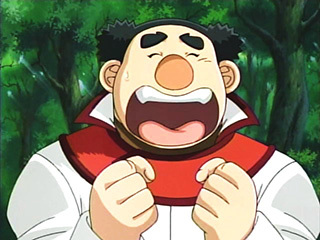 believed that his son’s efforts at Duel Academy were worthless and that he would be better off leaving. To put an end to the conflict, Chumley struggled valiantly against his father’s special tactics, but ultimately lost. Despite this, he allowed his son to continue his studies, as he saw that Chumley had actually learned something, and that his friends would always support him. Maximillion Pegasus offers Chumley a job at his company as a card designer nearing the end of the first year. In order to determine whether or not he will be permitted to leave the school, Crowler duels with him in one final test. Although Chumley manages to hold his own, even getting the chance to play the first card of his own creation, Ayers Rock Sunrise, he is again defeated. Crowler, however, lets him move on regardless, impressed by how far in his studies he has come. Chumley returns with Pegasus during the GX tournament to give Jaden a new card, Skyscraper 2 – Hero City, to aid him in his duel with Frantz, a fellow card designer who stole the only remaining copy of The Winged Dragon of Ra from Industrial Illusions. After saying goodbye to his friends, he is never mentioned in season 3 or season 4. Although, his face makes a cameo in episode 155, when Jaden has a flashback of his friends. 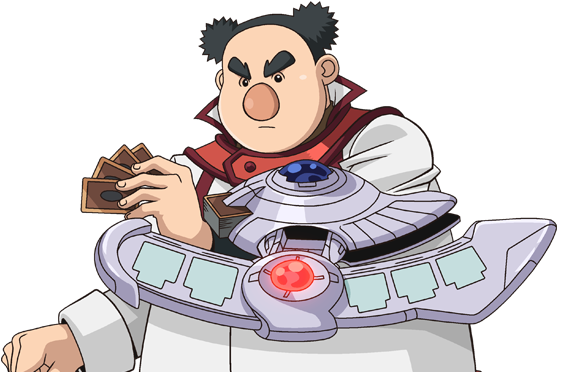 Chumley has the same power to hear and see Duel Spirits that Chazz and Jaden have, although he is not totally aware of it. While Des Koala is pictured with him several times in as his spirit partner, he does not directly acknowledge its presence. Chumley plays a koala deck. With this naturally comes an Australian theme; his deck has cards such as Des Koala, Des Kangaroo and Eucalyptus Mole, all of which reflect his affinity toward such animals. His strongest monster, Master of Oz, possesses 4200 ATK points.